This week, that legacy will be honored when Pope Francis travels to the Arabian Peninsula—the first such visit for any pontiff. 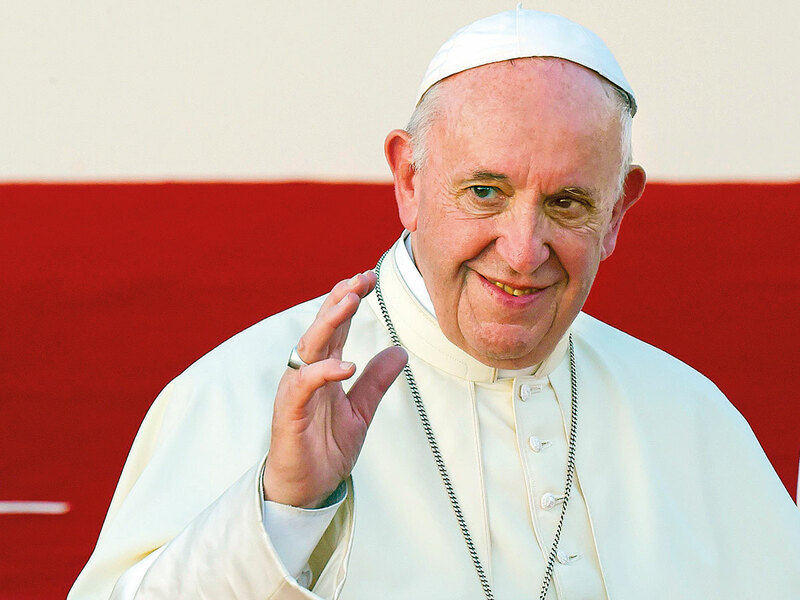 He will celebrate mass in Abu Dhabi with 120,000 of the more than 1 million Catholics who live in the UAE, and visit the local Catholic Cathedral that opened in 1965 on land donated by the government. The pope’s visit will send a strong signal across the region and world: People with different beliefs can live, work and worship together. Reverence, respect and compassion are core common values. Prayer is both uniting and unifying. These extreme voices seek to incite crazed followers to do their bidding. They give rise to zealots like who carry out hateful, violent deeds against religious and ethnic minorities. Christian Coptic churches are attacked in Egypt. The Yazidi homeland is destroyed in Iraq. The Jewish Museum is bombed in Brussels. And fatefully, it is Muslims – Sunni and Shia – that suffer the heaviest price of all from the murderous fundamentalists. So how do we break this cycle? How can we encourage people to accept, not demonize, “the other”? The pope’s visit this week will highlight one approach close to the center of the Muslim world. Today, the UAE is home to 200 different nationalities, more than 40 churches and approximately 700 Christian ministries. Sikh and Buddhist temples welcome multinational congregations. Last year, Indian Prime Minister Narendra Modi broke ground for a new Hindu temple. Evangelical Christian ministries abound in the country. The Jewish community is vibrant and growing. During his visit, Pope Francis will participate in an interfaith forum with the Muslim Council of Elders and other religious leaders. And he will meet with Sheikh Ahmed Al Tayeb, the grand imam of Cairo’s Al Azhar, Sunni Islam’s foremost religious institution. Last summer, a delegation of Emirati government officials and UAE-based religious leaders – representing Islam, Christianity and Sikhism – attended the U.S. Department of State’s Ministerial to Advance Religious Freedom in Washington, D.C. It was remarkable – and telling – to see a country from the Arabian Gulf represented by such a diverse group. In December, the UAE hosted the fifth annual Forum for Promoting Peace in Muslim Societies, a global conference to promote interfaith dialogue and reject the exploitation of religion for conflict and war. These ideas and principles of mutual respect and genuine tolerance should be universal. Faith and belief are instruments of good for noble goals – not the pretense for death and destruction. The voices of moderation and acceptance must be lifted over those of division and hatred. As the birthplace of the three Abrahamic religions, the Middle East today has become a cauldron of conflict among and within them. Religion today is a treacherous fault line that divides the region. But the true faith of Muslims, Christians and Jews has never been about hate or fanaticism. There is no clash of civilizations or ideas – only a rash of ignorance and a deficit of courage and moral leadership. Yousef Al Otaiba is the United Arab Emirates’ ambassador to the United States.